Wembley Stadium is the home of English Football. The original stadium was built in 1923 and known as the Empire Stadium, remembered for its iconic twin towers designed by Sir Robert McAlpine. Pelé said,”Wembley is the cathedral of football. It is the capital of football and it is the heart of football”, in acknowledgment of Wembley’s position as the world’s best-known football stadium. While Tottenham’s new stadium is being built, their home for this season has been at Wembley. Although we are getting to the latter part of the Premier League season there are still five home Spurs matches to go and see. Dates for your diary are the weekend of Saturday 21st & Sunday 22nd April, this is when the Semi-Finals of the FA Cup will take place. Then on Saturday 5th May the SSE Women’s FA Cup Final takes place. After last year’s high scoring match between Manchester City and Birmingham’s ladies one will be hoping for a similar great match between the finalists this year. Finally on Saturday 19th May will be the Emirates FA Cup Final. As Arsenal were knocked out in the 3rd round, we know there will be a new name on the cup this season. It is nearly 90 years since the first Rugby League Challenge Cup Final was held at Wembley Stadium when Wigan (the most successful Challenge Cup team) beat Dewsbury 13-2 in 1929. This year’s final takes place on Saturday 25th August after a nine month long competition that starts out featuring many grassroots clubs and climaxes with a spectacular final at Wembley. The current cup holders are Hull who will be looking to make it three Challenge Cup wins on the bounce if they get to this year’s final. Having won it in 2016 against Warrington Wolves and narrowly beating Wigan Warriors 18-14 in last year’s pulsating final. There is sure to be a great atmosphere at Wembley Stadium for these matches as three of the teams will be playing regular-season games in Wembley. Which one of these 5 Great Sporting Events to See At Wembley Stadium 2018 will you be attending…? 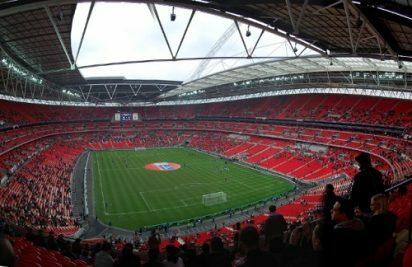 There are various ways for sporting fans to travel to Wembley by rail, TFL Tube or by bus.